and formed part of its culture, heritage and history. 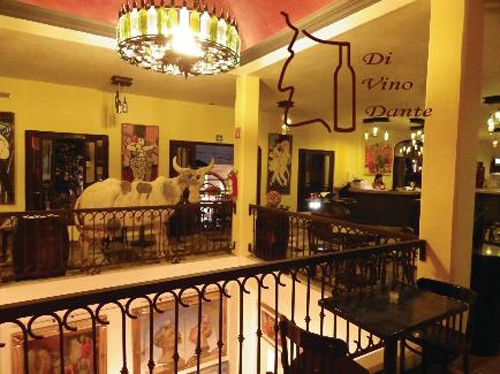 Grand Opening at Di Vino Dante November 22nd! Fun Parties at Puerto Vallarta’s Hotel Mercurio! What better time to escape the cold Midwest and head to Puerto Vallarta for sun and fun! OUR FAVORITE HOTEL - Hotel Mercurio has a great location, with a gorgeous pool and a friendly staff! Hotel Mercurio now has a pool party each Wednesday, 4-6 PM, “Wet Wednesday” (or, in Spanish, Miercoles Mojados)… with water balloons, squirt guns, pool games and prizes (bar tabs at local gay bars, clothing from local men’s boutiques, massage and spa services, etc.). “It’s basically a bunch of adult gay men acting like crazy kids and having lots of fun! It’s great because we get a fun mix of locals and visitors of all ages, and nobody gets to be a wallflower… it’s wild, wet, and crazy, and our hosts Joey and Isaac make sure everybody gets in the spirit!” says owner Paul. On Sundays, they have just launched “Beers, Boys & Burgers” from 4-7 PM, with all the beers you can drink and all the burgers you want, for only $150 pesos (about $12 USD at current exchange rates). Locals and tourists all love Hotel Mercurio! Stop by and say HI! THE PVR 2013 Music + Culture Festival! It’s still an amazing weekend! Bigger and better than ever! This posting sponsored by: Hotel Mercurio! vacation unforgettable, all at an unbeatable price. Department’s training and education programs. Taking a cruise used to be an activity that was only enjoyed by the very rich, but today it is accessible to everybody and the most exciting and exotic type of cruise for anyone who enjoys a little gambling is a casino cruise. With a casino cruise you get a touch of everything, from top quality casino gaming, first class dining and entertainment, pools and spas, comfortable cabins, to top class service. Many of the larger casino cruise ships are essentially the kind of casinos that you are likely to find in Las Vegas with the main difference being that they are floating on the sea. However if you prefer a more intimate experience, there are many smaller ships of various formats including at the top end of the luxury scale casino yachts which cater for selected high rollers. On a casino cruise you don’t spend all of your time on the ship. Typically the cruise will put in at a number of ports where you will get the chance to go ashore and perhaps enjoy an organised excursion to some of the local tourist spots, beaches and even casinos. While there are casino cruises to many parts of the world, one of the more popular destinations is around the beach resorts and islands or central America which always seems to provide just the right mix of sun sand and fun. Typically for a Caribbean casino cruise you will need to fly to an airport close to your embarkation point. Many Caribbean cruises depart from Florida, though there are also cruises from Philadelphia and Mexico. A cruise on the other side or Mexico is also good choice, and seeing Puerto Vallarta from the sea can be a great experience. There are also more generic cruises which have a casino onboard rather than cruises that specialise in casino gaming. The disadvantage is that these casinos do not operate 24/7, but luckily gaming in www.onlinecasinoaustralia.com.au is always an option. 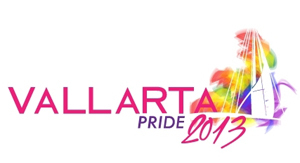 Gay Pride in Puerto Vallarta! in participating bars and clubs. Americas for over 60 years. houses. (Many first time travelers make the mistake and stay out in Nuevo Vallarta. 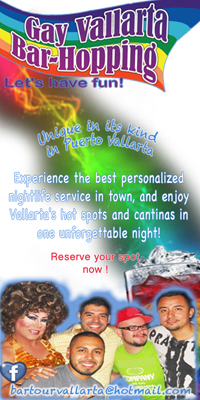 While there are many great places to stay out there, the LGBT community is in Romantic Zone – Old Vallarta). 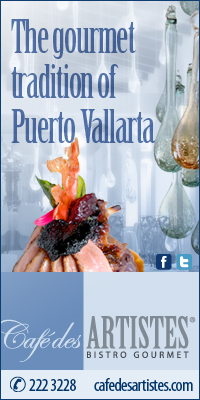 For Pueto Vallarta’s LGBT destination brochure, please click here. In an effort to further assist the foreign tourists, the Puerto Vallarta municipality has opened the Oficina Municipal de Atención y Asistencia al Turista y Residente Extranjero (OAATRE), or Municipal Office to Attend and Assist Foreign Tourists and Residents. The office is conveniently located at Plaza Lázaro Cárdenas, in colonia Emiliano Zapata, and is staffed by specially trained, French- and English-speaking staff. The office is open 24-7. Reach the OAATRE by telephone, you can dial (322) 222-2224.
restaurants offer a special, fixed price menu during a week or two, draw locals as well as tourists. every year from May 15 – 31.
person, tips and beverages not included. year to explore Banderas Bay. be viewed online (here’s last year’s menu guide). Department is warning against all travel to Jalisco. NOT TRUE. portions that cross in to the southern portions of the state of Nayarit. Also – Mexico City (also known as the Federal District): No advisory is in effect. Puerto Vallarta’s Tourism Board has commissioned a study from the security consulting firm Thomas Dale and Associates (TDA). you can read more at Visit Puerto Vallarta. have been robbed, hurt or killed. THIS IS NOT HAPPENING IN PUERTO VALLARTA!! When I went to Vallarta last Spring, a friend told me , “OH MY GOD, I won’t go there any more because of all the kidnapping and robberies!” – I called some friends in PV and they assured me it was NOT happening there. And that is mostly all happening near the border. uncomfortable or scared. Gay people are welcomed with open arms and can freely walk down the streets, hand in hand. Every year Puerto Vallarta seems to become more popular as a gay vacation spot. I actually have a friend here in Chicago, trying to sell his condo in Chicago, so he can retire early and live PV. using my cellphone while driving…), ” says Paul who owns Hotel Mercurio. 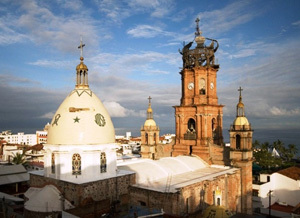 Puerto Vallarta is the most visited gay destination in Mexico. 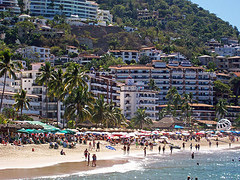 See Gay Guide Vallarta for more gay information. 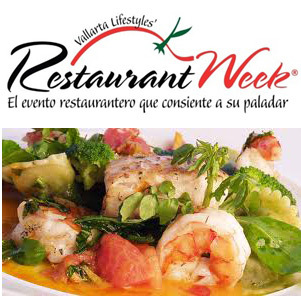 Voted BEST Restaurant in PV! 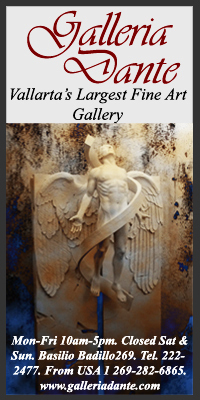 Voted BEST Gallery in PV! Let us be your online magazine gay guide to everything gay and gay-friendly in beautiful Puerto Vallarta and also show you some things off the beaten path, that only the locals know about! Place your ad here and get noticed from the thousands of visitors who check this site out each month looking for LGBT friendly businesses and venues to spend their money with in Puerto Vallarta!